Shaw-Thornburg, Angela. 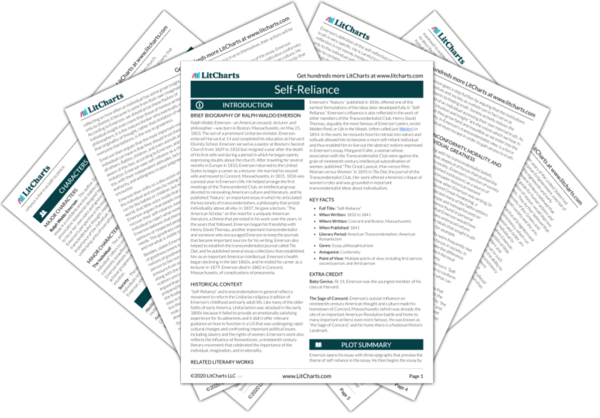 "Self-Reliance Themes." LitCharts. LitCharts LLC, 15 Feb 2018. Web. 20 Apr 2019. Shaw-Thornburg, Angela. "Self-Reliance Themes." LitCharts LLC, February 15, 2018. 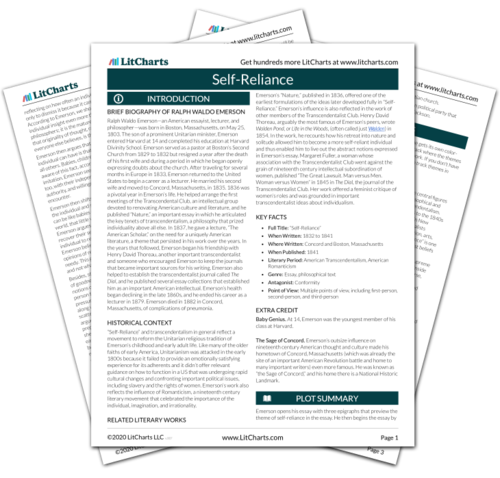 Retrieved April 20, 2019. https://www.litcharts.com/lit/self-reliance/themes.